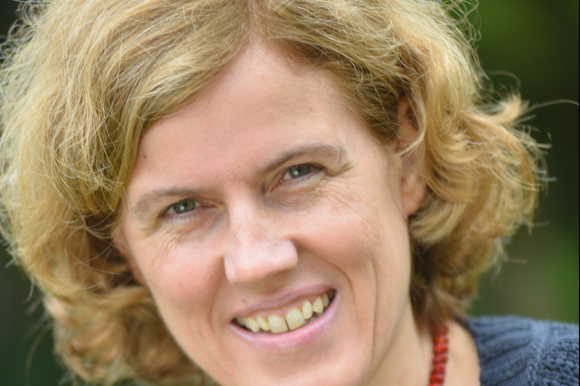 Today, Dr. Rebecca Wade, head of the “Molecular and Cellular Modelling” research group at the Heidelberg Institute for Theoretical Studies (HITS), has been appointed to the W3 professorship “Computational Structural Biology” (Faculty of Biosciences/HITS) at the University of Heidelberg. The biophysicist was appointed jointly by the university and HITS. Her research group is located at HITS. In addition to teaching at the Faculty of Biosciences, Rebecca Wade is associated with the Center for Molecular Biology at the university (ZMBH). The joint appointment illustrates the fruitful and close cooperation between the University of Heidelberg and HITS, the research institute of the Klaus Tschira Foundation. Rebecca Wade studied physics at the University of Oxford (B.A. Hons. 1985) and received her doctoral degree (D. Phil.) in molecular biophysics in 1988. She then did postdoctoral research at the Universities of Houston and Illinois. From 1992 to 2001, she was a group leader at the European Molecular Biology Laboratory (EMBL) in Heidelberg. She has led the “Molecular and Cellular Modelling” group since 2001, initially at EML Research and since 2010 at HITS. Her research group works on the development and application of computer-aided methods to model and simulate biomolecular interactions. Such basic research has application in the development of new drugs and therapies and in biotechnology. Recent projects have, for example, addressed the treatment of parasitic illnesses and the problem of drug resistance from cancer treatment. Prof. Rebecca Wade is an active contributor to the international scientific community. She is, for example, associate editor of the “Journal of Molecular Recognition” and section editor of “BMC Biophysics”. She has been closely connected with the University of Heidelberg for some time, e.g. as a member of the steering committee of the Heidelberg Center for Modeling and Simulation in the Biosciences (BIOMS) and as a member of the Interdisciplinary Center for Scientific Computing (IWR). In 2004, she was the recipient of the Hansch Award of the QSAR and Modelling Society.